Major League Baseball enters playoff mode. Do you think Reggie Jackson was nicknamed “Mr. October” because of how well her performed in off season winter ball? No – it’s because the World Series takes place in… October. 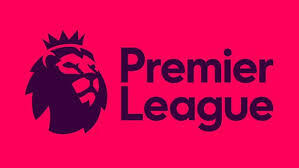 Europe’s elite professional soccer leagues are back in the early run of their seasons – the English Premier League, La Liga in Spain, the German Bundesliga, Italian Serie A, and France’s Ligue 1. One literally can’t turn around without bumping into multiple sports to watch. Real aficionados find themselves balancing lineups in multiple sports fantasy leagues. When you think about it, October makes sense. It’s the early fall, where weather is still warm, or at it’s coolest, “crisp,” around much of the world … not too cold for outdoor competition. And when things do get chilly, we find ourselves taking to indoor sports like the NBA and NHL. In the months to come, we don’t even mind the chill. Some of the more legendary NFL games are battled out on “the frozen tundra” of some midwestern stadium, the early fall sunsets setting shadows across the field. #OctoberisSportsHeaven (let’s get this trending by the end of the day)!